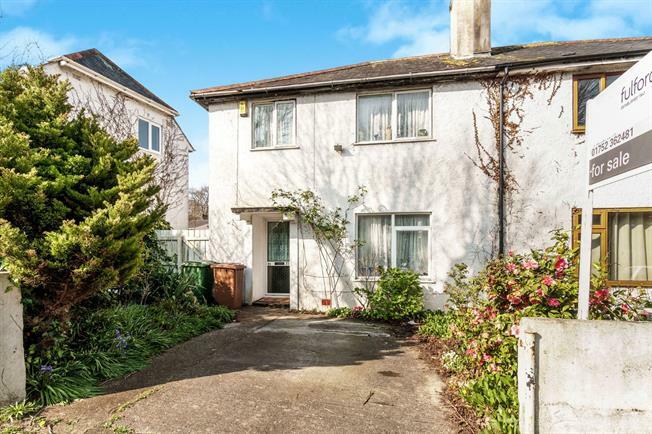 3 Bedroom Semi Detached House For Sale in Plymouth for Guide Price £140,000. GUIDE PRICE 140,000 - 150,000 Fulfords Estate Agents are delighted to welcome to the market this semi-detached house with driveway parking and a large, private rear garden. The property briefly comprises; entrance hall, open planned kitchen/ dining room/ lounge, three bedrooms and a bathroom. This house would make a great family home! Contact Fulfords today to arrange an internal viewing.